What is Breast Enlargement (Augmentation Mammoplasty)? Breast Enlargement Surgery is for women who consider their breasts to be too small, not of the same size, or believe that their breasts have lost shape. 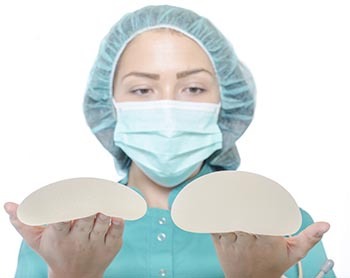 In breast enlargement surgery, breast implants are used to increase the size of breasts. How does breast enlargement surgery work? Breast Enlargement surgery procedure involves creation of incisions in your breasts. 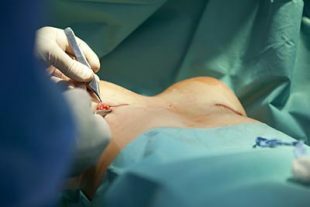 These incisions may be created under your breast, towards your armpits or around the areola. Then breast implants are then placed either at the front or at the back of your pectoral (chest) muscles. This procedure takes about one or two hours for successful completion and is usually carried out under general anaesthesia. We do advise overnight stay, however, you may return home the very same day if our surgeon is confident about it. The implant size and the breast augmentation method used will be determined by your surgeon during the consultation session. This consultation is essential to ensure that the best recommendations and implants are offered that take into consideration your comfort and lifestyle. Why choose Nu Cosmetic Clinic for your Breast Enlargement Surgery? What can I expect after the Breast Enlargement Surgery? Although it is not mandatory, we recommend an overnight stay in our hospital after you have undergone the Breast Enlargement Surgery. We offer excellent after-care service to make sure you are comfortable and confident enough to return home. You may experience some amount of bruising and discomfort after the surgery and we will help you manage the pain by prescribing suitable painkillers. It is better to avoid lifting weight or performing any strenuous exercises for upto 6 weeks from the day of your surgery. You may be able to return to work after taking a good rest for a period of 6 to 7 days. You should start seeing results within a short span of time after your Breast Enlargement Surgery. However, it might take a couple of weeks for the final results to become evident. Following the instructions given by your surgeon will ensure you heal faster and achieve the expected results. You would be asked to wear a support bra for a few days after the surgery so as to heal faster and reduce your discomfort. Stitches if any would be removed about 10 to 14 days after the surgery. We ensure minimal scarring that will fade away with time. These can however be taken care of, without affecting the outcome of the surgery. The cost of Breast Enlargement surgery may vary from person to person, depending upon the implant chosen and the kind of results that are expected. However, we put together an affordable package that will include the consultations, medical tests, pre-operative screening, surgery costs, medications, hospital stay including meals and after-care. Once a suitable package is determined, you can go through your treatment with absolute peace of mind with no hidden charges. We have successfully referred a large number of clients and helped them achieve their desired results through successful Breast Enlargement Surgeries. We have been fortunate enough to have achieved astounding client satisfaction, which indeed is our goal at Nu Cosmetic Clinic. A couple of the clients we have referred on have even written a few reviews to express their gratitude. You can read these on our testimonials page to get an idea about the quality of services we offer. Nu Cosmetic Clinic will refer you to a team of expert cosmetic surgeons who are specialised and highly experienced in carrying out different kinds of surgical procedures to improve the appearances of our clients, bringing them the satisfaction that they desire. They are assisted by qualified anaesthetists and trained nurses, whose main aim is to see to it that you are in absolutely safe hands, both during and after your surgery. The facilities and equipment they use are sophisticated and state-on-the-art to make sure you achieve your desired results, within the shortest span of time. 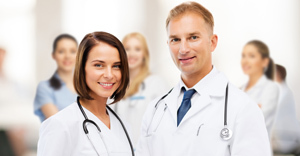 The results of cosmetic surgery and its benefits may vary from person to person. Therefore, Nu Cosmetic Clinic offers no guarantee on any kind of specific results. It would be excellent if you can call us to arrange an appointment for a consultation session. During this session one of our experts will evaluate your condition and requirements, suggest the right kind of implants, recommend the right procedure and clarify all queries that you may have about Breast Enlargement Surgeries. You may come back for a replacement of your implants after about 10 or 20 years when you experience a change in your body shape. Yes, the results of a breast enlargement are permanent. However, if you loose/ gain a substantial amount of weight, or you have a baby, your breasts may change shape. We recommend that people take a week off work following the procedure (more if your job is particularly physical). Strenuous activities, heavy lifting and exercise should be avoided for about 6 weeks after your surgery. What are my choices of implants? Nowadays, there are a vast number of implants from you to choose from depending on the look you are trying to achieve. As a guide, you should choose between round or tear drop shape (tear drop giving a more natural appearance), the size of implant you require and the projection. What is the difference between over and under the muscle? This concerns the placement of the implant. Your surgeon will be able to advise on the best technique for you, as much depends on your skin, build and desired result. As a general rule, under the muscle will give a more natural appearance, where over the muscle is sometimes better for women with a moderate amount of sagging. Natalie met with a surgeon for the consultation. This involved discussing the procedure, along with the associated features and benefits. “I felt like he knew me as a person, and could relate to exactly what I wanted”. This was in contrast to other clinics Natalie visited, where she claimed it was more what they wanted to perform and not her, in addition to unwanted follow up calls trying to force a decision. Joanne is a 41 year old professional woman from Liverpool. She recently underwent breast augmentation with Nu Cosmetic clinic at their Manchester branch. “I needed a subtle uplift of my chest, as it was not as toned as in my younger years. I was not looking for a dramatic change, just more of fullness and tone”. A full consultation with our medical team and surgeon suggested that Joanne´s augmentation procedure should take her from a CC to a DD/E cup size. This would give her the natural fullness that she sought. It was also recommended by the consultant that this operation is replicated every ten years, for health and aesthetic issues. The breast insert types and sizes were chosen specifically for Joanne based on her requirements and consultant recommendations. The procedure was completed within one day. An operative time of 1.5 hours meant that Joanne was able to go home the same evening. Outwith this, an initial ´downtime´ of 3-5 days allowed Joanne to return to an almost normal routine shortly after the operation. Any form of cosmetic enhancement is very personal, so prices are bespoke dependent on your individual needs. As a rough guide, you can expect to pay £3990- £4650.